The province has formally requested $200M to deal with issue. OTTAWA — The Ontario government has formally requested $200-million from the federal government to pay for the cost of asylum seekers who entered Canada from the United States and who are living in Ontario. 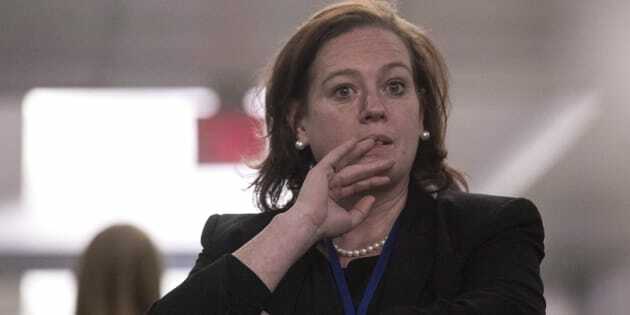 Lisa MacLeod, Ontario's minister for children, community and social services, wrote a letter Thursday expressing concern over the government's efforts in managing the issue of "illegal border crossing" and demanding financial compensation. In the letter, MacLeod, who is also responsible for immigration, writes that for over a year, Ontario has been straining to support "illegal border crossers" and that the Liberal government's approach is "now testing the patience and generosity of Ontarians." The letter is addressed to Minister of Families, Children and Social Development Jean-Yves Duclos. It says federal support has been "inadequate" to meet the current and future needs posed by this "crisis." MacLeod asked Duclos to consider the letter a formal request for "direct and full compensation" for the costs associated with the support Ontario and its municipalities are providing to "illegal border crossers." MacLeod warned Ottawa earlier this week while appearing before a House of Commons immigration committee that the request would be made. MacLeod says the $200-million figure breaks down as follows: $74 million for shelter costs for the City of Toronto, $12 million for shelter costs for the City of Ottawa, $90 million for social assistance costs her ministry is footing, $20 million for education and $3 million for the Red Cross. So far the federal government has offered up $50 million to provinces, which includes $36 million for Quebec, $3 million for Manitoba and $11 million for Ontario. Immigration Minister Ahmed Hussen and Bill Blair, the minister responsible for border security, were copied on the letter. The federal government has not yet offered a response to MacLeod's request. However, Hussen's office said Thursday that efforts are underway to contract hotels to provide immediate short term lodging to the approximately 540 people currently housed in college dorms. Mathieu Genest, a spokesman for Hussen, said hotel rooms will be booked until the end of September and many families will then move out and find more permanent housing solutions as they await the hearing of their claims. Genest said the plan is also to have a triage system in place by then that will help manage the flow of asylum seekers to different municipalities. "With Ontario's decision to halt its participation in discussions surrounding asylum seekers, we are engaging directly with municipalities in order to implement our plan," said Genest.